The genuine and the evil. That turns earth into dung? Or that of fame and power? Wander not in fogginess, my friend. Where the loyal heroes dwell. This is the way of Yin and Yang. Will envelop our noble circles. And have peace in your hearts. • 1972—He founded the AcuMedic Centre, London —the largest Chinese Medicine Organization outside Asia. • 1994—with the Beijing University of Chinese Medicine, he established in London the Chinese Medical Institute and Register (CMIR). • 2007—He founded CHINALIFE 2007 in London offering a unique range of Chinese Tea and herbal tonics. He invented the world's first disposable acupuncture needle and designed the earliest range of micro-processor electro acupuncture and TENS devices. He was a visiting professor at the Beijing University of Chinese Medicine, Guangzhou University of Chinese Medicine, Guangxi Medical University, and the Nigeria Natural Medicine Development Agency. To insure the highest standards and quality controls of TCM, as well as to effectively counter evolving antagonistic legislation, he became Chairman of the CMC (Chinese Medical Council), and the European chairman of the World Federation of Chinese Medicine Societies. In 2013, he joined a working group organized by the Department of Health (UK) to advise the Government on suitable implementation of herbal medicine legislation. Don Mei continues his father's valuable work. http://betweeneastandwest.com/stories/don-mei [click the URL's upper right box "Don Mei's story" for further information]. Chinese Medical Council (CMC) UK. Chinese Medical Institute & Register (CMIR). "The Inspirational Life of Professor Man Fong Mei." Professor Man Fong Mei. 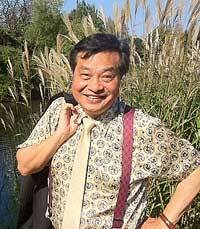 "Traditional Chinese Medicine in the United Kingdom from the…"
Don Mei. "Phytoform System of Herbal Medicine - An Introduction."